Cement Board Fabricators distributes VaproShield® for roofs and walls. 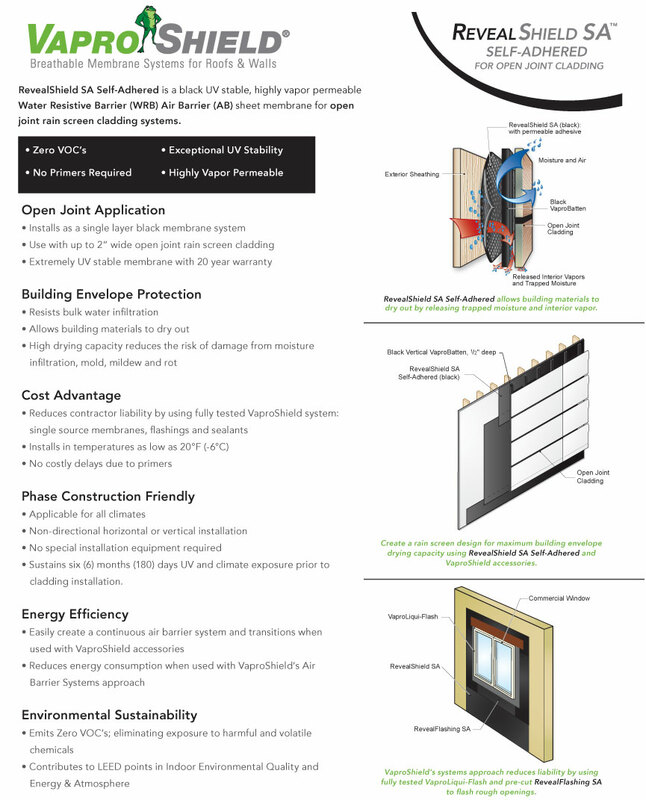 RevealShield SA Self-Adhered a black UV stable, highly vapor permeable Water Resistive Barrier (WRB) Air Barrier (AB) sheet membrane. RevealShield SA is the most technologically advanced product as well as the most efficient application for open joint rain screen cladding system on the market. 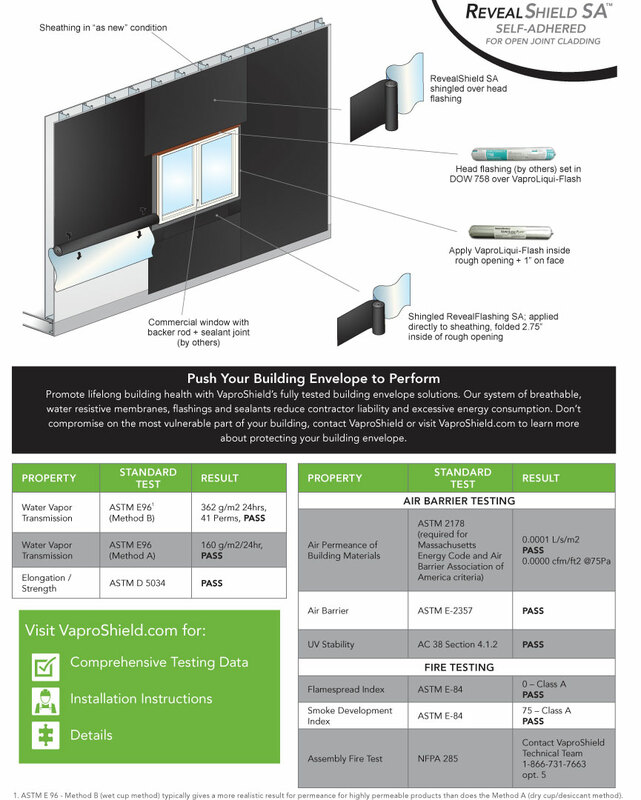 See an overview below of theRevealShield SA Self-Adhered or Click here to Download or Print the PDF.